The Minister of Agriculture Omar Amadou Jallow, OJ, has disclosed that the assets of former President Jammeh are currently under investigation and that all will be subject to due process. Mr Jallow was speaking in an interview with Touch Online, a popular news site on Gambian affairs. He continued: “We should make sure we allow the due process of the law to take its course. A government that campaigns on the rule of law cannot seize assets of an individual without due process because we don’t know how they were acquired. But he added that if the current inquiry into Jammeh’s activities have found him culpable, his assets could be forfeited to the state, especially if the law requires it. In the same interview Mr Jallow also recalled how the AFPRC junta refused to publish an enquiry report that exonerated some PPP ministers including himself. Meanwhile, Moustapha Marong, a former Minister under Jammeh who is now a legal practitioner in Banjul, corroborated OJ’s assertions: “There were many commissions established then, to deal with the 30-year governance of the PPP including one mandated to specifically probe into the running of the Ministries. This Commission was commonly called the Alghali Commission named after the chairman of the Commission, Honorable Justice Omar Alghali, a Sierra Leonean,” Mr Marong said. He continued to reveal that at the end of the inquiry into the Ministries, the Commission concluded that the Ministers were innocent and that there was no case against them. “A ‘White Book’ was drafted with findings and recommendations of the Commission to be published for the public to know what were the wrongs committed by the Ministers. The book remains unpublished until today. The book was forwarded to the State House and duly received by Yahya Jammeh,” Mr Marong said. 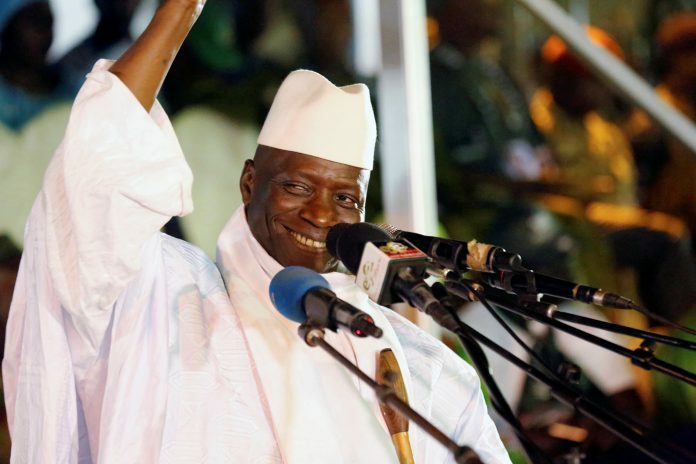 He further disclosed that Lieutenant Yahya Jammeh grudgingly accepted the findings of the commission. “It was alleged that Sir Dawda had stolen money from the coffers and secretly saved it in an offshore account in Panama. An investigative team was sent to Panama to carry out investigations into the allegations of the stolen money and after paying them heavy per diem, the team came back with nothing,” Mr Marong said. Mr Marong also recalled that some World Bank officials on a visit to the Gambia, after the coup, paid a visit to the Justice Department and one of them with an East European surname, made it clear to him that the 26 Work Bank projects in the country at the time were all executed satisfactorily and denied allegations made by the junta that monies meant for World Bank projects were squandered by the PPP government.